Cerebral palsy is a devastating birth injury. It’s a lifelong neurological condition that affects the parts of the brain responsible for muscle function. It typically stems from complications that occur during pregnancy, birth, or shortly following birth. The diagnosis is even more heartbreaking for families who learn that the complication could (and should) have been prevented. The damage done to a child’s developing brain is irreversible. Birth should be a time of great joy and happiness. Families trust that they are receiving proper medical care during pregnancy and delivery. Unfortunately, medical negligence does occur. Inexperience, distraction, exhaustion, and faulty equipment are contributing factors when birth injuries are caused by negligence on the part of doctors, nurses, or other medical practitioners. Ultimately, if your child has been diagnosed with a birth injury, it could very well be due to preventable human error. And when that happens, a medical malpractice case is warranted. Certainly, every child is different, and fitting into any of these categories does not confirm that cerebral palsy is indeed present. Pediatricians monitor growth based on the child’s unique body makeup as well as in accordance with a basic growth chart. Some issues may be temporary, but some may very well be signs of cerebral palsy. Cerebral palsy is typically diagnosed within the first two years of a child’s life. It cannot be confirmed by a single test. Many tests, over time, are needed to make a definitive diagnosis. Your child will need to be observed repeatedly, particularly if only mild symptoms of cerebral palsy are present. Similar symptoms occur with other conditions, such as degenerative nervous disorders, muscle diseases, nervous system tumors, and metabolism disorders. Your Child Has Been Diagnosed with Cerebral Palsy… Now What? There is no cure for cerebral palsy. 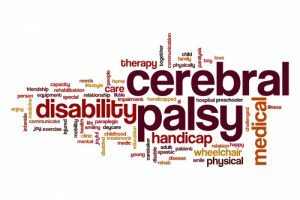 Until you receive a firm diagnosis of cerebral palsy, you may believe that your child’s condition or developmental delays are temporary. Following the diagnosis, cerebral palsy becomes a life-altering reality. Treatments can help improve muscle function and minimize the impact of symptoms in many children who suffer from cerebral palsy. The most severe cases, however, require around-the-clock care, regular visits to doctors, speech therapists, and physical therapists, and an investment in wheelchairs, crutches, or walkers. The financial burden resulting from a cerebral palsy diagnosis is enormous. Knowing that the diagnosis could have been avoided with proper, careful medical care is devastating. A medical malpractice case can help ease the struggles faced by families who have a child with cerebral palsy. If you believe that negligence or carelessness caused your child’s cerebral palsy birth injury, call Thurswell Law for a free consultation. We are an experienced family of attorneys who can offer you the best chance at receiving full monetary compensation. We don’t charge any fees unless you collect. Call (248) 354-2222 today to schedule your free consultation.